Sound familiar? That could easily describe one of our communities here in the Grand Valley. Similarly affected by the Great Recession, Bend has seen a remarkable bounce-back that tops other U.S. metros – it was ultimately the city’s accelerated economic growth and future jobs outlook that won it the top spot. Read Badenhausen’s article to learn more about the best small places in the U.S. and the methodology behind the rankings. On a related note, congratulations are in order to the state capital, which took the no. 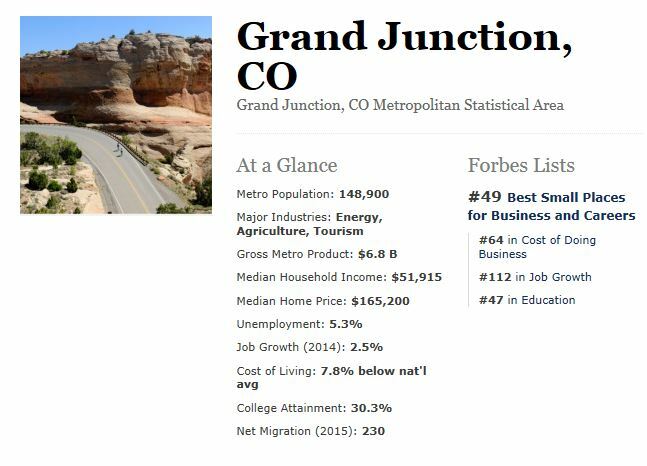 1 spot on the Best Places ranking for the top 200 large U.S. communities. Congratulations, Denver!